The Sun will have already set at 4.33pm and the end of Astronomical Twilight is 6.31pm so by the time the Centre opens at 6.30pm it will be completely dark. The phase of the Moon is 1 day before FULL MOON and it will already have risen at 4.23pm so will be visible through the historic telescopes all evening. To see the sky chart for the 23rd January visit Heavens Above. You will need to alter the times and dates in the boxes below the current chart to find out what is in the night sky on the dates of the open evening. The Moon although very bright is still quite a magnificent sight through the telescopes. The telescope operators will be using Moon filters to help reduce the brightness enabling you to see the craters and the maria. Jupiter is beginning to make an appearance this month in the constellation of Leo and on the 23rd will be rising at 9pm. By 11pm it should be visible through the historic telescopes as it rises higher and higher. The smaller scopes of the amateur astronomers should be able to locate the planet earlier because they are not so restricted by the domes and their ability to spot objects low on the horizon (unlike the larger historic scopes). Unfortunately the Great Red Spot will not be visible throughout the evening but you should be able to see the four largest Moons (the Galilean Moons). Io will appear very close to Jupiter on the western side having just completed a transit across the face of the planet. Callisto, Ganymede and Europa will be on the eastern side in that order towards Jupiter. Because the Moon is almost full it will not be as easy to see deeper sky objects. However, the ORION NEBULA, a favourite deep sky object at this time of the year and which is fabulous to look at will still be visible. The ANDROMEDA GALAXY may be a bit washed out and heading towards the western horizon but may also be a target for the evening. 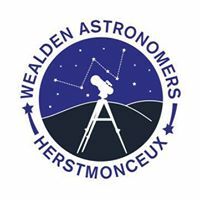 The smaller amateur telescopes will be situated on the lawns at the front of the Centre and will also be available for you to look through.